Originally from Canada, Kimberley started her veterinary career at the University of Sydney, graduating in 2005 with honours. After graduation she returned to Canada and worked for three years in a busy, mixed animal practice in northern British Columbia. In between snowy calving seasons Kimberley was busy developing skills in small animal medicine and diagnostic ultrasound. In late 2008 Kimberley and her husband decided that they missed the balmy Australian climate, and moved (with Abbi the golden retriever) back to the land down under, settling in Newcastle. Kimberley then spent nearly 3 years developing skills and experience in avian and exotics veterinary practice. 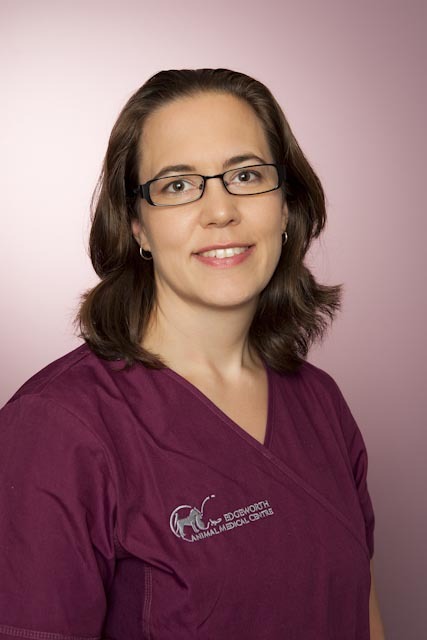 Kimberley’s main clinical interests are exotic and avian medicine, as well as diagnostic ultrasound and general medicine. In July 2016, Kimberley gained entry to the Avian Health chapter of the Australian and New Zealand College of Veterinary Scientists by passing a rigorous set of advanced clinical practice examinations. Outside of work Kimberley has a young daughter who keeps life busy and entertaining. She enjoys spending time outside with the family biking, camping and climbing, and loves reading when she can find some spare quiet time.